You are here: Home / About / F.A.Q. WHY IS EVERY TRIBE EVERY NATION THE RIGHT IDEA FOR TODAY? Digital translations of the Bible can’t wait. Modern technology has expanded into nearly every corner of the globe. Our world is truly connected, networked together with cell phones, tablets, and digital devices. People everywhere have the means to receive and engage with Scripture—right in the palm of their hands. HOW DO EVERY TRIBE EVERY NATION AND THE DIGITAL BIBLE LIBRARY HELP MINISTRIES? Every Tribe Every Nation promotes the rapid completion of Scripture translations, makes the Bible available in a digital format, manages intellectual property rights, and encourages people to engage with God’s Word in a culturally relevant way and in a language they know best. Because Every Tribe Every Nation anticipates increasing global access to the Internet through mobile devices, it also anticipates ministries using digital platforms in a number of ways: audio and video gospel telling, church planting, distance education and pastor training. HOW IS THE WORK OF EVERY TRIBE EVERY NATION DIFFERENT FROM WHAT BIBLE AGENCIES ARE ALREADY DOING? It encourages ministries to adopt new ways of working to start and accelerate scripture translations, to do so more efficiently and with no loss in quality, by strategically bringing resources to bear upon the areas of greatest need. It facilitates engagement with end-user ministries in scripture text development. This sort of user-input will transform ways of working and the priorities of the Bible agencies. It brings new people and new competencies to the task and fosters the breakdown of silos between frontline scripture ministries. It brings both incremental funding and increased awareness to the task of Bible translation and Scripture engagement through Every Tribe Every Nation donor engagement activities, the website and media relations. It ensures that there is minimal or no duplication of effort in digital distribution of Scriptures. WHY DID YOU CHOOSE AN ALLIANCE AND NOT AN INDEPENDENT NONPROFIT ORGANIZATION? The founding agencies and investors determined a ministry alliance was the best solution for Every Tribe Every Nation. An alliance offers lower overhead than a nonprofit through virtual meetings and shared responsibilities. This solution also provides the most flexible configuration and is more responsive to change. An alliance also best reflects the reality that many important aspects of Every Tribe Every Nation already are embedded within ABS/UBS, Biblica, and Wycliffe. HOW CAN BIBLE ENGAGEMENT TRANSFORM LIVES? The longest chapter in the Bible, Psalm 119, uses 176 verses to describe the beneficial effects of reading and mediating on God’s Word. That shows how important it is. The absence of a steady diet of God’s Word leads to a spiritual life that is wasting away. Personal transformation, renewal in the church, and revival in the world all happen when engagement with God’s Word becomes a central activity and controlling desire in the lives of believers. WHAT’S SO IMPORTANT ABOUT DIGITAL TRANSLATIONS AND DELIVERY? The Digital Bible Library® (DBL) will reach people with translations that they can understand in formats with which they engage every day. In this way, the project overcomes the major reasons why Christians say they don’t engage with the Bible more often: 1) “I don’t have time.” The Digital Bible Library® brings Scripture to mobile devices so it can be read, listened to, or watched in any place at any time. 2) “I can’t understand it.” The Digital Bible Library® distributes Scripture in vernacular languages with modern idioms or paraphrases. WHAT IS A “HEART LANGUAGE”? Put simply, the heart language is the language people use to think. It’s the language they understand best and the way they interact with the world around them. For most, it’s the language used in their homes, filled with the idioms, metaphors, and figures of speech that resonate with them and those around them. It’s the language that speaks to their hearts, and that’s why having a Bible in that language is so important. CAN YOU REALLY PULL THIS OFF? We’ve already launched the Digital Bible Library® and begun “stocking the shelves,” and we’ve partnered with several card-holding ministries to get out the Word. The founding Bible agencies are responsible for the overwhelming majority of Scripture translations now available in the world. Together they have done the translations, developed the systems for quality assurance, printed the texts, and sustained the work of bringing Scripture to the world. They have the expertise and experience to continue moving forward. Each phase brings us closer to the goal of having translations in everyone’s heart language. You can find out more about our progress in the News Room. 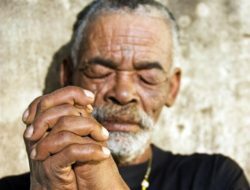 WILL PRAYER BE AN IMPORTANT PART OF EVERY TRIBE EVERY NATION? The founding partners have mobilized their existing prayer ministries to support Every Tribe Every Nation with focused, frequent prayer. ABS’s Circle of Prayer provides information and practical ways for their U.S. prayer teams to support Every Tribe Every Nation. Biblica has an active small groups prayer ministry engaged in praying for the project. Wycliffe’s prayer department, led by their VP for prayer ministries, has been praying for Every Tribe Every Nation and tasking his staff to support the alliance through a blog. We also encourage everyone to sign up to pray for specific requests. You can partner with Every Tribe Every Nation in a number of ways. Investors can sign up to support this important project or provide needed materials. Ministries and organizations can become library card holders that distribute translations and media files via the Internet, mobile apps or print-on-demand solutions. Bible translation agencies can add certified translations to the Digital Bible Library® with full rights management. Those who are passionate about Every Tribe Every Nation’s mission can share this website on social media outlets and sign up to pray with us. WHERE IS THE DIGITAL BIBLE LIBRARY® LOCATED? The UBS Institute for Computer Assisted Publishing (ICAP), which is administered in cooperation with the Canadian Bible Society, will host the Digital Bible Library® in collaboration with the American Bible Society. ICAP has extensive experience in text archiving and conversion and has an excellent relationship with national Bible societies. WILL TRANSLATIONS FROM MINISTRIES OTHER THAN THE FOUNDING PARTNERS BE INCLUDED? While the founding partners account for most of the translation activity worldwide, other qualified organizations are welcome to submit their translations to be included in the Digital Bible Library®. WHAT ARE THE REQUIREMENTS OF MINISTRIES THAT WISH TO CONTRIBUTE TRANSLATIONS? Any agency or person willing to submit their text, audio or other content (IP) to the Digital Bible Library® (DBL) must fulfill certain criteria first. Demonstrate Ownership – First and foremost, they need to demonstrate ownership of the content to be submitted as verified by copyright and/or other legal documentation, as recognized by the rules of the country of origin. Credentials – They need to be recommended by one of the Every Tribe Every Nation Alliance Ministries (ABS, Biblica, Wycliffe) or follow the (Forum of Bible Agencies International) FOBAI standards. For the full documentation please go to FOBAI website. These standards represent a set of requirements for consultants, Bible translations, and Bible translation agencies that the members of the FOBAI recognize and implement. 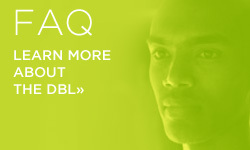 Technical Knowledge – DBL will also expect that an application makes it clear that the agency has sufficient technical capacity to be able to interact efficiently with DBL staff. Product Designation and Ethnologue – In Bible publication and distribution/engagement, each member agrees to follow the United Bible Societies (UBS) designation of Scripture products (Bible, New Testament, Portion, Selection) in all media and to use the UBS annual statistics for these products. As for the identification of the languages of the earth, each member agrees to use the SIL Ethnologue as well as its accompanying statistics regarding the number of languages. Application Review Process – Agency or individual understand that each application is reviewed by the Partnership Credentials Committee (PCC). The PCC reserves the right to review individual texts for conformance to above-mentioned criteria. Apply to submit content: If your organization can meet these requirements you can submit content to the DBL. HOW WILL INTELLECTUAL PROPERTY RIGHTS BE PROTECTED? Every organization that submits a copyrighted translation to the Digital Bible Library® will sign a license agreement with the United Bible Societies which specifies the level of permissions given. Each copyright holder will, in addition, have the control to grant or revoke access to a platform provider, through the Digital Bible Library® interface. The administrators will maintain records of copyright ownership and the specific rights made available to the Digital Bible Library® for use by various cardholders. The Digital Bible Library® has instituted protocols that allow for appropriate levels of security and backup for all stored texts. WHY DO MINISTRIES AND ORGANIZATIONS NEED A LIBRARY CARD? Since the Digital Bible Library® supplies copyrighted digital files to ministries, there needs to be a formal agreement made with those who are given access. The agreement will specify the rights and obligations of both the Digital Bible Library® and the library card holder. WHAT CRITERIA DO YOU USE TO DETERMINE WHICH ORGANIZATIONS CAN OBTAIN A CARD? Any agency, ministry, or person interested in gaining access to the Digital Bible Library® (DBL) must fulfill certain criteria in addition to a minimum level of technical expertise. Reputable Standing – Only reputable organizations will be considered for participation in the DBL. A reputable organization is one that follows the historic tenants of Orthodox Christianity. Accessibility – Receiving a “Library Card” does not automatically mean access to content. Certain content might be accessed by default but some of it might require additional steps in order to secure permissions from each IP holder. Technical Background – Optimal library card holders should already possess viable distribution technology and a well-functioning digital platform before receiving a library card. Provide Statistics – All participants need to be able to provide engagement statistics on a regular basis. These statistics need to be detailed enough to accommodate each IP contributor who has provided them access to their content. Cooperation – While we don’t expect all partners to hold to similar confessional practices or standards, we do expect them all to be able to operate cordially and constructively with all Every Tribe Every Nation members, including the inter-confessional ones. Applying organizations should not have any outstanding conflicts with any current Every Tribe Every Nation partners or other Library Cardholders. Authentication – The ultimate authority for approving new library cardholders will be the Partnership Credentials Committee. WHAT ARE THE TECHNICAL REQUIREMENTS A LIBRARY CARDHOLDER MUST MEET? Understanding of written web services documentation. Making authenticated HTTP requests using any of the usual REST verbs. Handling data returned by those requests in the form of XML, JSON, or zip archives containing those formats. In addition, applicants will need the technical skills and staffing to provide a means for copyright holders to preview and approve presentation of texts before public release. As the DBL participation grows, we understand that many people want to be involved. At the same time, it’s important for applicants to understand that accessing the DBL data for publishing takes a high level of proficiency and dedication. If the requirements above talk about technology you don’t use every day, you should not participate in this phase. Our Support – We’ll work to quickly resolve any problems with the DBL interface or data. We provide succinct documentation of the application process and to the API as necessary. We welcome clarifying questions and feedback regarding the API, but applicants should not expect tutorial-level support in the above requirements. WHAT ACCESS DOES A LIBRARY CARD ALLOW? Library cardholders have access to the digital files stored in the Digital Bible Library®. However, rights holders have the option to restrict the way their translations are used. Check the file listings for each translation to find out more. HOW IS THE ALLIANCE MANAGED? A steering committee, consisting of one partner from each of the translation organizations and four representatives from initial investors, currently leads the Every Tribe Every Nation alliance. The alliance also sponsors staff positions that support the DBL and related activities. See the Leadership page for more information. WHAT’S THE FINANCIAL BENEFIT OF AN ALLIANCE? The Every Tribe Every Nation alliance leverages the capacity and competencies of international Bible agencies, thereby avoiding the need to create a separate nonprofit organization with registration, mailing lists, and employees. Each partner lends its people and know-how to the alliance, reducing costs and creating an efficient infrastructure. A minimal contracted staff and advisory/working groups do most of the work of Every Tribe Every Nation, keeping overhead down and administrative costs minimal. In fact, the Every Tribe Every Nation alliance gives donors a 100 percent guarantee that funds contributed to Every Tribe Every Nation all flow to direct ministry. HOW ARE THE FUNDS DIRECTED? Every Tribe Every Nation funds are directed by the Every Tribe Every Nation Steering Committee (consisting of four donors and one ministry executive from each Bible agency) and administered by the National Christian Foundation (NCF) Heartland in Kansas City, Missouri. Gifts to the Every Tribe Every Nation Fund at NCF are disbursed as grants to each ministry partner the month following their receipt. HOW WILL FUNDING BE USED FOR TRANSLATION WORK? The ministry partners have prioritized funding projects including digitization, translation acceleration, and engagement. Every Tribe Every Nation allocates funds to a pre-approved list of projects that meet these criteria. In this way, the Every Tribe Every Nation fund is like a mutual fund or private equity fund. HOW DO THE ALLIANCE PARTNERS USE THESE FUNDS? When donors give to Every Tribe Every Nation through the Alliance Project Fund (APF), their gifts directly support text digitization and translation acceleration. The APF sustains a portfolio of alliance partner ministry projects directly connected to the goals of Every Tribe Every Nation. The APF is both flexible and extraordinarily useful. For ABS/UBS, APF allocations are the key to enabling cooperation with individual Bible Societies, accelerating their translation projects, releasing translation rights and digitizing older translations. For Biblica, APF funds hasten the completion of major language translation projects and support rapid digital access to Scripture for greater impact on international programs. For Wycliffe (along with The Seed Company and SIL), APF provides unrestricted major funding to hasten the completion of translation projects in difficult-to-fund or highly sensitive areas of the world. IS THERE A REVIEW OF THE FUNDED PROJECTS? Alliance ministries annually submit projects for inclusion in the funding portfolio. Each year, the Alliance Project Fund (APF) tracks the performance of the projects (currently 40) and reports on results achieved through the contracted monitoring and evaluation services of Global Scripture Impact (GSI). Based on the previous year’s performance, the Every Tribe Every Nation Steering Committee makes an annual determination of APF funding—continuing at the previous year’s levels, re-allocation, or rebalancing for the next year. CAN I DESIGNATE WHERE MY FUNDS GO? The current Alliance Project Fund (APF) portfolio reflects 40 ministry projects focused on digitization, DBL operations, Scripture translation acceleration, or translation completion. The APF is marketed as a single portfolio, much like a “private equity fund.” Donors support the totality of all projects in the fund, without selectively targeting individual projects. However, should a donor desire to designate funds to a particular area of interest, Every Tribe Every Nation can help them find the right ministry partner to which to direct their gift.